MONDAY: You can expect blocks and delays to greet you first thing this morning. If you'll practice patience and keep your mind on simple projects, things will balance out by midday. Discuss your concerns about a loved one with a trusted friend under the Cancer Moon and you'll get a more grounded sense of what's really going on. Your tarot card this week will be the Sun, which reminds you to express your warmth and affection for those closest to you more openly, and, more often. KEEP IN MIND: Don't worry if you get out of bed on the wrong side this morning; balance resumes around lunch time. TUESDAY: Even though you love rushing to the aid of others, you could be neglecting yourself in the process. Put some boundaries up today and then start delegating tasks to create more time for yourself. Use tact with peers or authority figures, as the Leo Moon could prompt you to say something you'll have to apologize for later. Jasmine incense can bring your thoughts and dreams into alignment, so light some during your evening meditation. KEEP IN MIND: Count to ten before you say what's really on your mind. Otherwise, you'll have to eat crow later. WEDNESDAY: You can expect constant interruptions today, so resign yourself to the fact that your own plans may have to wait until tomorrow. Freedom is a state of mind, not a set of circumstances, so journal to discover if you are carrying old thought patterns that are restricting your movements. Wear pink to keep your mind and heart open to new opportunities. Tonight's Leo Moon will inspire an internet shopping spree, and you'll be clicking the "Buy Now" button with abandon! KEEP IN MIND: It's all about perception today, so if you don't like what you're seeing, change the (spiritual) channel! THURSDAY: As movement begins on a new project, a sense of excitement will surround you. Your inner well-being is showing, and others will long to be in your presence just to soak up your optimism. Wear gold today, as it can increase your confidence; handy, as you'll make an important proposal to an authority figure or loved one. Two equally viable choices will hang in the balance tonight; the Virgo full Moon can help you decide which works best for you. KEEP IN MIND: Confident, self-assured and optimistic; no wonder everyone wants to be your best friend today! 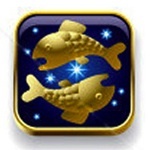 FRIDAY: High energy and anticipation will move you forward in amazing ways today, as the Pisces Sun inspires you to start approaching things from a different angle. A breakthrough in awareness comes during a conversation with a friend, a gift of the Virgo Moon. If you'll watch for mindless spending, you can discover a way to counteract those pesky money shortages that keep cropping up. Accept a last minute invitation to a friend's house this evening, where you're sure to have a fun and carefree time. KEEP IN MIND: It's all about changing the way you approach things today; try it, it works! SATURDAY: Keep your focus on spiritual balance today, as the outside world may seem confusing or frustrating under the Pisces Sun. Amber stones can help you process thoughts, dreams and new information, as they carry the power to uncover hidden messages. Memories of a past partner could hang around all day, making you feel nostalgic or blue. You may even attempt to connect with this person over the internet or by phone under the investigative Libra Moon. If you do, you'll be met with wonderful reception! KEEP IN MIND: Can't get someone out of your mind? Go ahead and search the internet to see if you can locate them. SUNDAY: You'll discover a different avenue to your dreams under today's Libra Moon, and even if seems a bit rebellious or eccentric, it's definitely the way to go! You've reached a healthier and more confident state these last few weeks and are now ready to embrace the future with open arms. Family conflicts could break out tonight; stand back and refuse to get involved. Wear purple to help you gain access to spiritual insights during your evening meditation. KEEP IN MIND: You'll be walking the road less traveled today; enjoy!